The newest addition to the Near Mint Comic Show family of podcasts is finally here! This week, we brought the show on the road to Double Midnight Comics & Collectibles and sat down with Stickman artist, Dan Larson and DM minion, Pat Covey in the first installment of our monthly Comic Book Club. Comic Book Club brings you a second podcast each month, where a rotating panel of guests talk about one book they read and one book we’ve all read. It will be recorded live on location at Double Midnight on the 2nd Tuesday of every month. This month Dan Larson introduces us to Paul Grist’s Jack Staff: Everything Used to be Black & White, Pat Covey gives an epic endorsement of Invincible and Ben Peirce dabbles in some Fantastic Four with the countdown to “Three”. 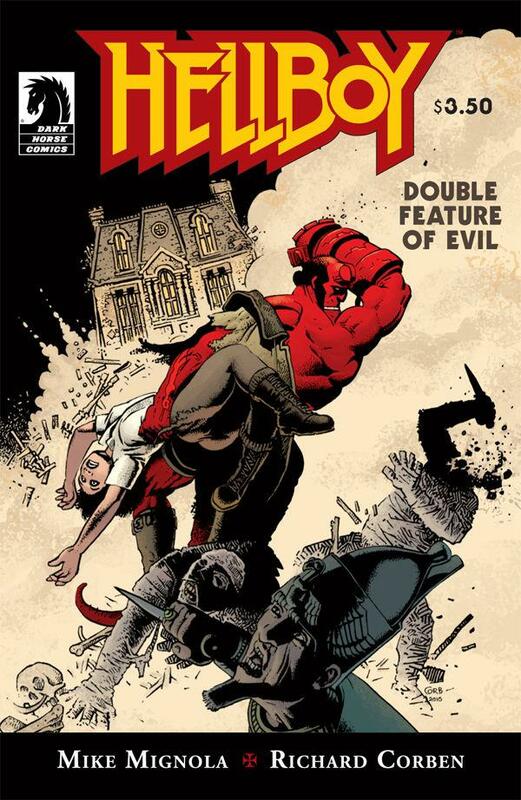 Our book club selection this month was Dark Horse’s Hellboy: Double Feature of Evil by Mike Mignola with art by Richard Corben. If you’re in the area and want to be a part of Comic Book Club, send us an email or stop by Double Midnight Comics, located at 245 Maple St. Manchester, NH 03103 on the 2nd Tuesday of the month. Next month’s book club selection will be announced here and on our Facebook page in the coming weeks. So the fans have spoken with downloads, emails, letters and even skywriters. A monthly podcast isn’t enough, so the minds behind the Near Mint Comic Show have added a new free agent to their roster: The Comic Book Club at Double Midnight Comics. CBC will be a monthly audio show with a rotating panel of guests, recorded live and in person at our friendly neighborhood comic shop: Double Midnight Comics in Manchester, NH. The guys have been great to work with so far and we’re happy to have them along for the ride. The format is very simple. A rotating roundtable of comic experts and creators will discuss one thing they individually read (old or new, single issue or trade) and one thing that everyone will read – both in separate segments. Each show is expected to run about an hour, perfect for a drive into work, the gym or shopping in your favorite comic book store. As always, reader suggestions are encouraged for what the group should check out next and you never know…you could be asked to join the group to discuss it as part of a future roundtable! Does this mean the NMCS is going away? Don’t be sad, Petey. 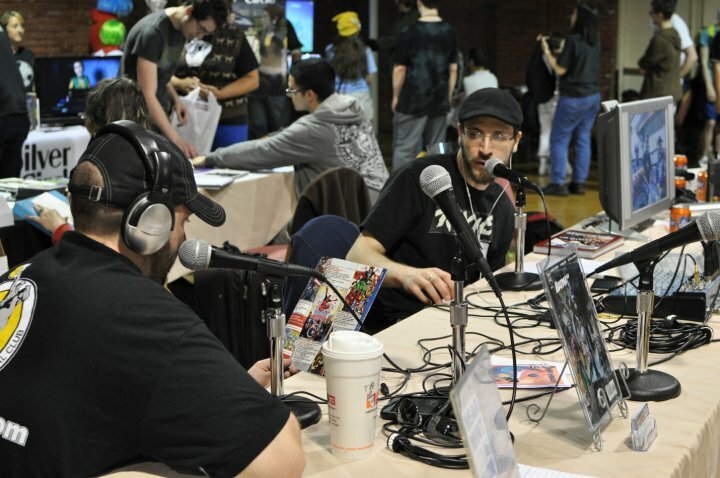 The mighty Near Mint Comic Show isn’t going anywhere and will still be recorded every 4-6 weeks. So when’s the first show? The first edition of CBC will be recorded this week with a release expected shortly after that. Listen to the first show and let us know what you think! Because of your support (and honestly, Ben’s drive), the addition of a second show is possible. Thank you for your love of the NMCS in 2010 and expect more in 2011! And for the love of Peter Parker, like us on Facebook and follow us on Twitter, will ya?